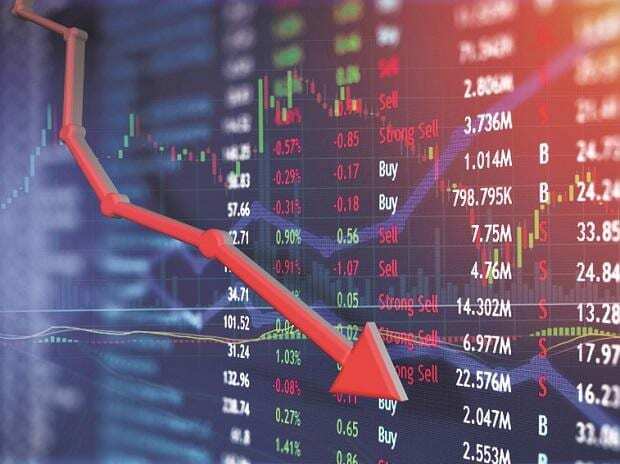 Despite solid gains in global equities, the domestic markets ended with losses on Friday following a sharp decline in key stocks such as Zee Entertainment Enterprises (ZEEL), Maruti Suzuki and ICICI Bank. While the domestic market, too, traded in the green for most parts of the day, negative news flow in individual stocks dampened investor sentiment. It raised concerns around corporate governance practices at India Inc. The benchmark Sensex ended at 36,025.54, down 170 points, or 0.5 per cent — 450 points lower from the day’s high. The Nifty fell sharper by 0.64 per cent to end at 10,781 after index component ZEEL fell 31 per cent — the most in over a decade. ZEEL and other Essel group companies, such as Dish TV, Zee Learn and Essel Propack, fell sharply on reports that the group is being probed for large deposits after demonetisation. Shares of Maruti Suzuki fell 7.4 per cent, most among Sensex companies, after its December quarter margins went down sharply due to higher input costs and increase in discounts. “The equity benchmark indices witnessed high volatility despite supportive global cues. Nifty opened in the green and traded with a positive bias but later saw a sharp correction in the afternoon session due to large fall in ZEEL shares and poor Q3 results by Maruti Suzuki,” said Jayant Manglik, president, Religare Broking. Most Asian markets gained around one per cent each on Friday, while European markets, too, opened strong. Broader markets saw a deep correction on Friday with the NSE Midcap 100 index and NSE Smallcap 100 index falling 1.6 per cent each. Shares in realty, media, automobile and consumer goods sector witnessed a sharp sell off. Shares of DLF fell close to 12 per cent after a group company’s name appeared in a CBI case involving the Haryana Urban Development Authority. Shares of other Delhi-based real estate companies also fell. “Markets pared the opening momentum due to intensified selling in media stocks and below-than-expected quarter results even as global markets rallied,” said Vinod Nair, head of research, Geojit Financial Services. Other firms that saw correction included Linde India, whose shares fell 20 per cent after promoter BOC group said its delisting bid failed. Weak results and margin pressure at Maruti Suzuki spooked other auto stocks. TVS Motors tanked 5.2 per cent and Hero Motocorp fell 4.2 per cent. Shares of graphite electrode producers, led by Graphite India, also tanked on demand concerns. Graphite India fell 12 per cent and HEG declined 9 per cent. 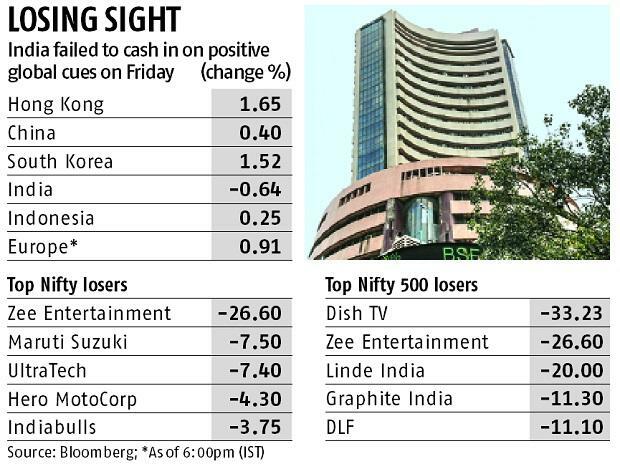 Among the Nifty stocks that ended with gains include Bharti Infratel, HCL Technologies and YES Bank. Shares of YES Bank extended gains after the company announced the appointment of Ravneet Gill as its new Chief Executive Officer.